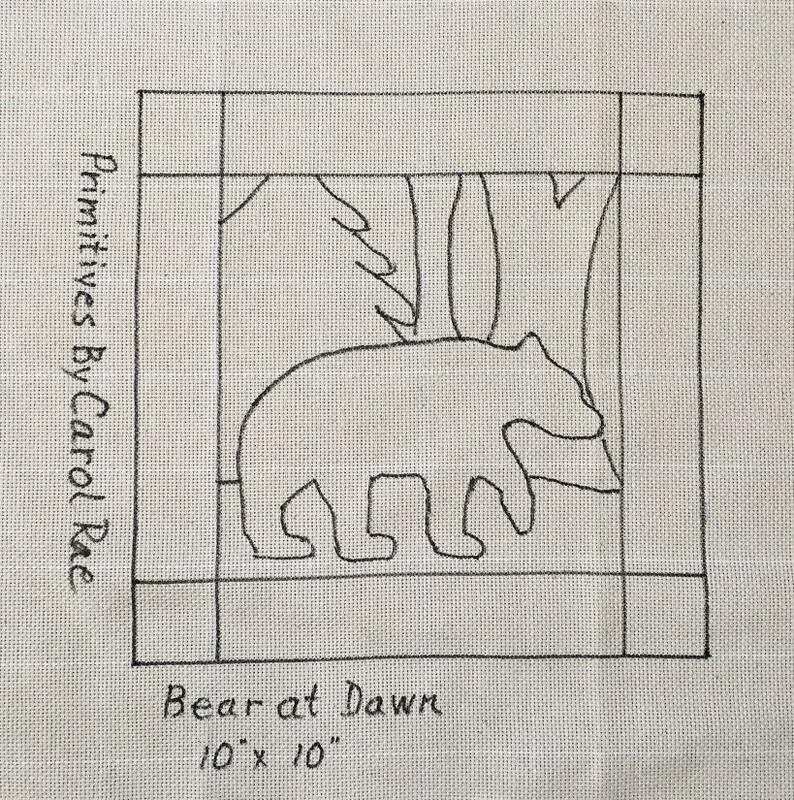 This listing is for the Kit to hook my design "Bear at Dawn" 10" x 10". 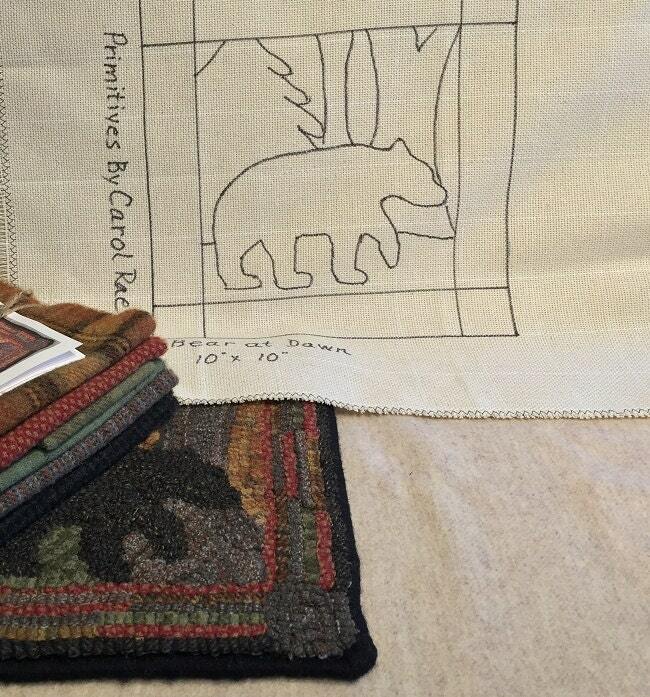 I have hand drawn the design and it is surrounded by a border 4 inches wide or more and will fit on most lap top frames or in a 14" hoop. I have sergedthe outside edge to prevent raveling. 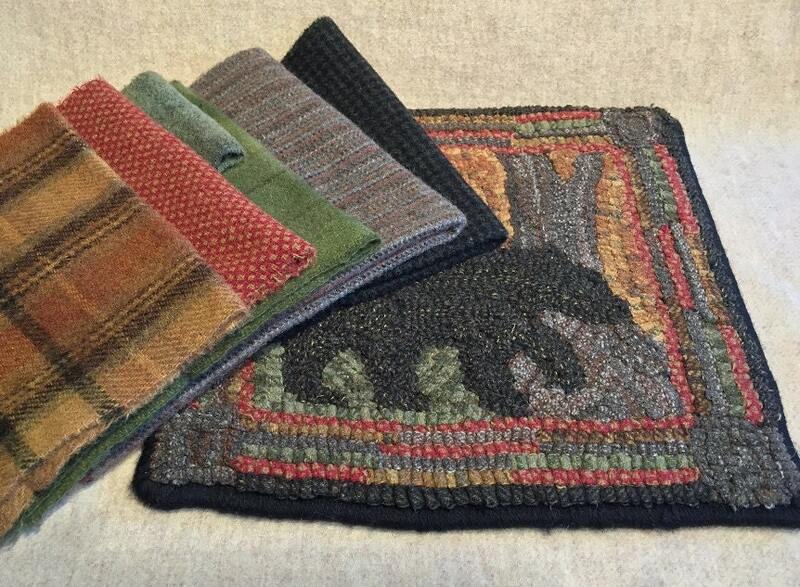 This Kit has 100% wool fabrics that have been felted and/or hand dyed and are ready to cut. 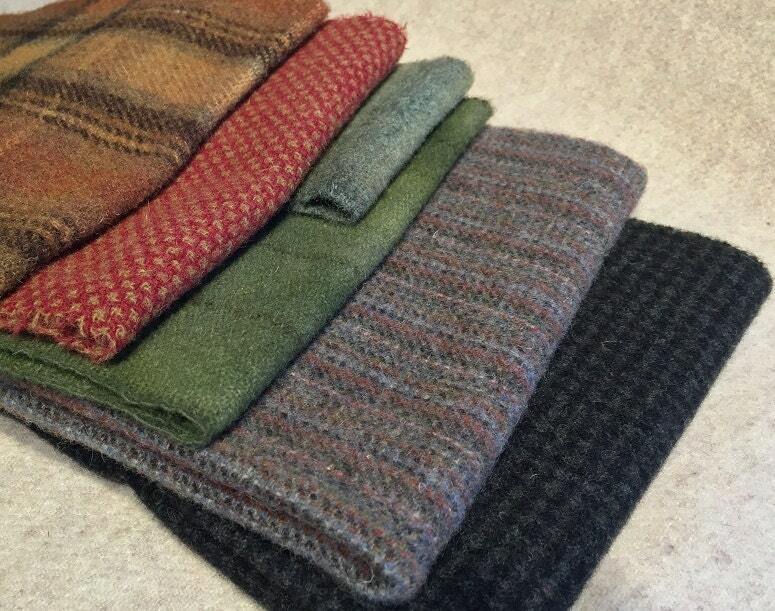 2.Choose if you want the wool in your kit to come uncut, or, cut in #8 (1/4" wide) strips. 3. Instructions on where to use the colors in the wool pack and a color photo. It does not include instructions on how to hook. 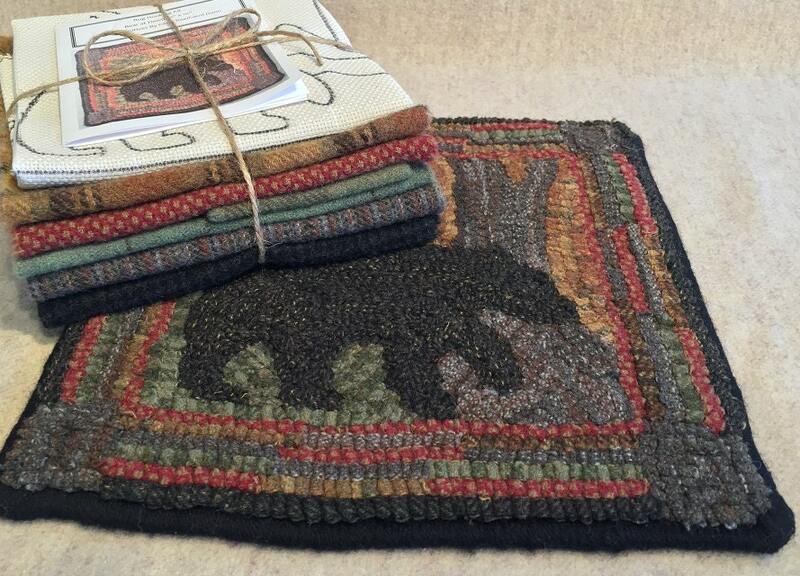 This Kit DOES NOT include a hook or finishing tape or yarn.